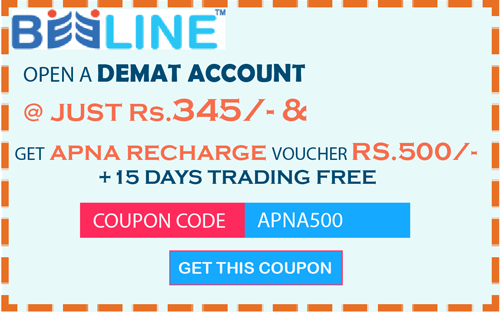 User will have to open a demat account with Beeline Broking Ltd. and user will get Rs 500 Apna Recharge voucher free. User can also trade for 15 days free. Free trading is subject to KYC form completion.